Now that we’ve reviewed in Post I of this series how we can complete the initial configurations in MDT 2010, added a clean Windows 7 image and the task sequence to deploy it; and in Post II we’ve imported Microsoft Office 2010 into MDT and configure it for a customized, silent and unattended; in this third part of this series we are going to work directly in the capture and deployment process. 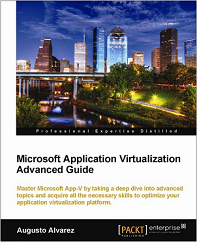 We’ll review how to deploy Windows 7 to a machine, achieving in the same deployment the automated installation of Microsoft Office 2010 and right after that, also automated, capturing that operating system. 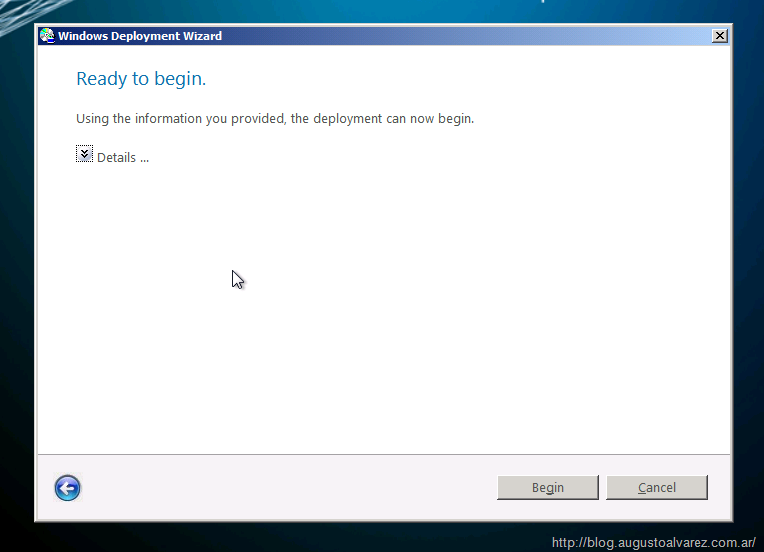 With a new a customized Windows 7 image we will add it to MDT 2010 for later deployments. 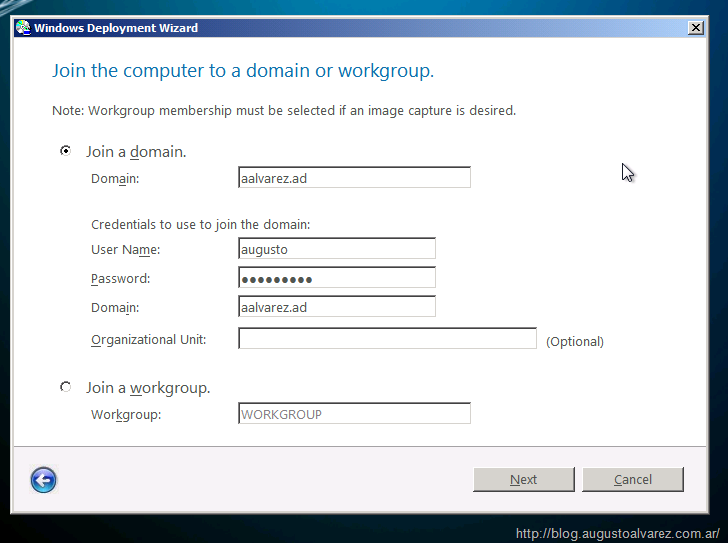 The interesting part about having this customized image imported in Microsoft Deployment Toolkit 2010 is that it can be our base image for all of our users. 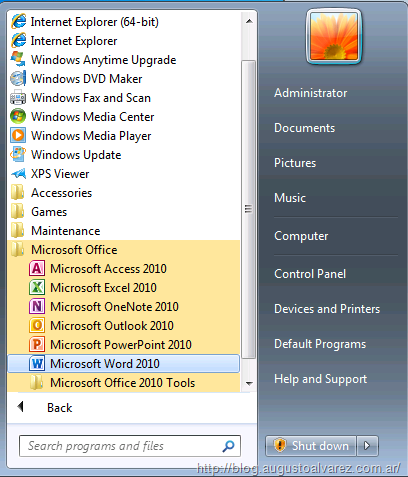 If you have several type of users in your organization, I’m pretty sure you can find some applications all of these types of users share (Microsoft Office is a good example); using MDT you can deploy this base image plus adding in the Task Sequences the automated deployment of the applications for each user. 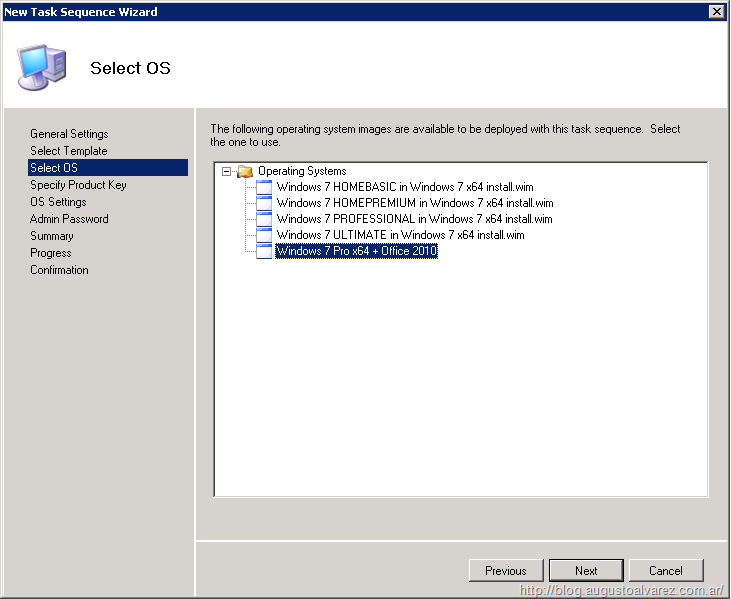 Since we have already the Task Sequence created for deploying Windows 7 + Microsoft Office 2010, we only need to use the LiteTouch media created in the Deployment Share to run the deployment wizard. In my case, I’m going to use the WIM file with a Windows Deployment Services (WDS) server already running in my environment; this way I don’t have to use any local media in the client machine, just using a network connection will do. 1. 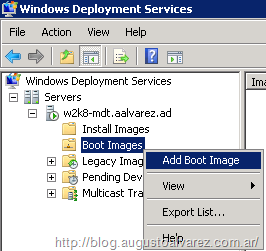 In the WDS console, right click “Boot Images” and select “Add Boot Image”. 2. 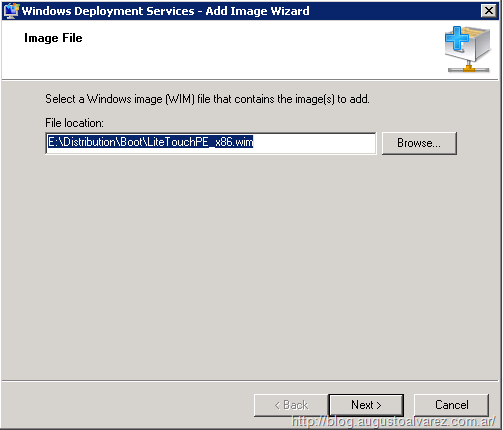 Select the LiteTouchePE WIM files existing in the Deployment Share directory of our MDT 2010. 3. Complete the WDS wizard. 4. In the client machine, we can boot from network using F12. 5. Select the LiteTouch Pre-installation Environment (PE). 6. Once the boot image is loaded, we can see that the LiteTouch wizard appears. 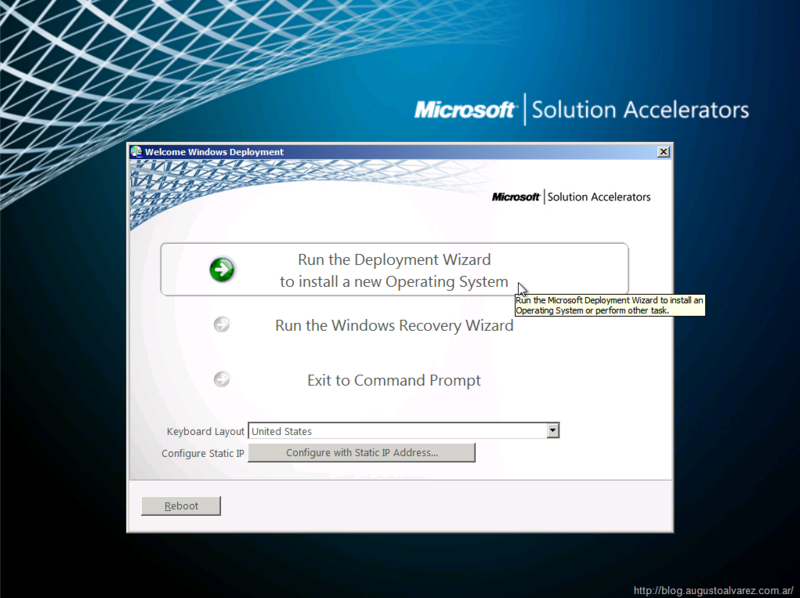 Select “Run the Deployment Wizard to install a new Operating System”. 7. 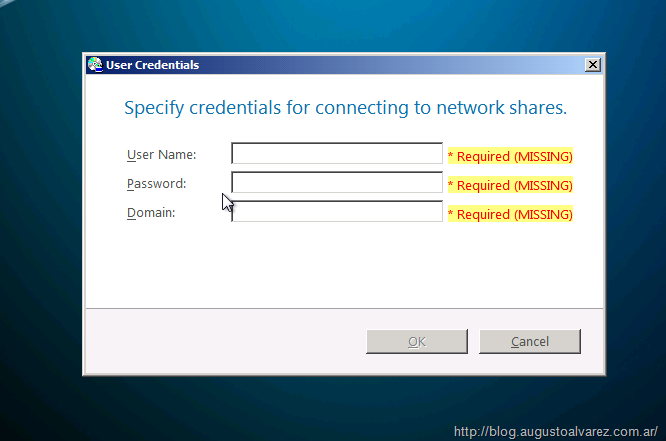 Type in the domain credentials from which you have access to the Deployment Share created by MDT 2010. 8. Select the Task Sequence created. In my case there’s only one “Deploy Windows 7 Clean Image”. Click on “Next”. 9. Enter the computer name and click on “Next”. Since we are capturing it, the name here has no relevance; the sysprep process will wipe all this information. 10. 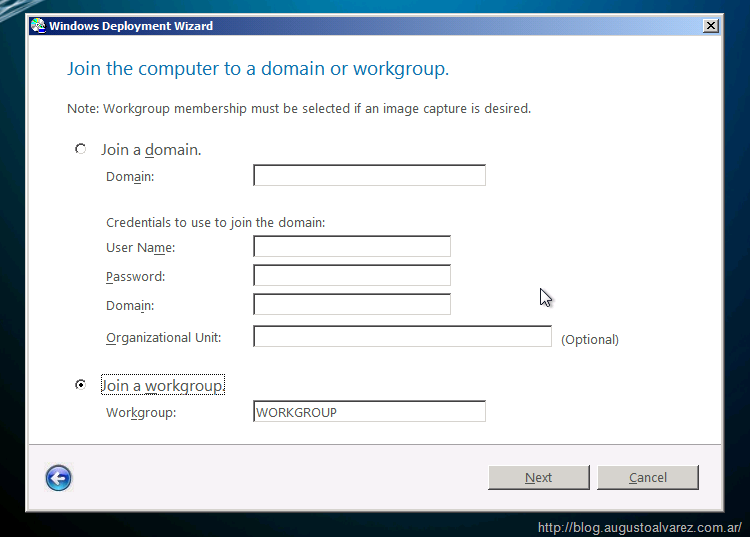 Select “Join a workgroup” and click on “Next”. If you are going to capture this image, DO NOT SELECT “Join a domain”; if this option is selected the capture step is disabled. 11. Since we are not migrating any user data, select “Do not restore user data settings”, click on “Next”. 12. Select the options in “Language and other preferences”. 13. Select the “Time Zone”. 14. Select the option “Capture an image of this reference computer”, and specify the options for the location and name of the WIM file to be created. Click on “Next”. Remember that the location can be any shared folder available in the network (the credentials inserted earlier must have read/write permissions to this folder). 15. Review the details and click on “Begin”. With that, the Task Sequence starts running. The first step will format the hard drives for the operating system deployment. 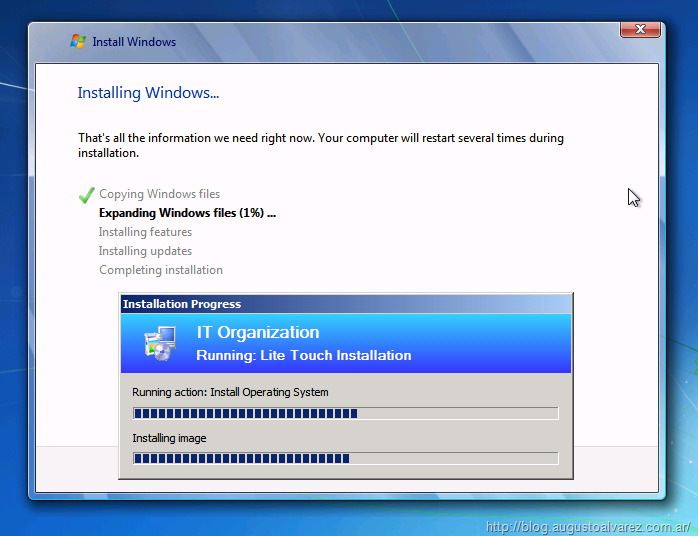 The operating system installation will start next. And after a new reboot, the Task Sequence completes the work with the operating system installed and with the user logged in; Microsoft Office 2010 64-bit starts the installation completely automated and silent. The installation takes a few minutes, and if you want to verify the process completed successfully just access the Start Menu before the machine reboots again. 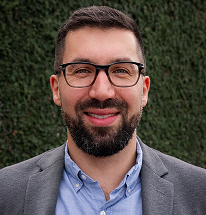 Before the reboot, the sysprep process starts running which will erase all of the specific information from this operating system related to the machine (computer name, Product Key, SID, etc.). Once the computer is rebooted, the process for creating the WIM file for this operating system starts; and of course sending that file to the destination folder we’ve chosen. That process can takes several minutes to complete so you just have to be patient. 1. 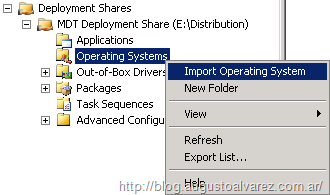 Open the MDT Console, expand the MDT Deployment Share, right-click “Operating Systems” and select “Import Operating System”. 3. Specify the path of the captured WIM file and click on “Next”. Also I’m selecting the option “Move the files to the deployment share…” to optimize disk space. 4. Select “Setup and Sysprep files are not needed” and click on “Next”. Since we’ve already prepared this operating system, there’s no need to include these files. 5. Specify the name for the destination folder and click on “Next”. In my case, I’m using “Windows 7 Pro x64 + Office 2010”. 6. In the summary page click on “Next”. 7. And in confirmation click on “Finish”. 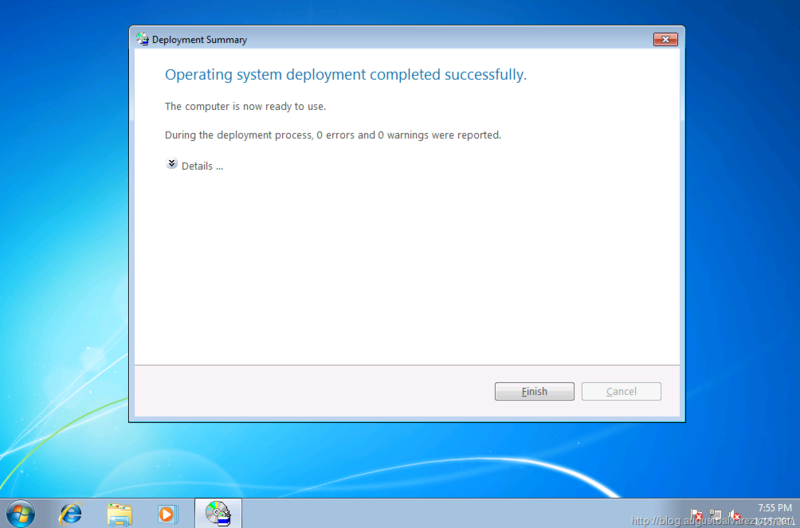 With that, the operating system is imported to MDT 2010. 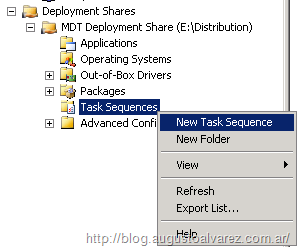 We now have the customized operating system imported into MDT, now we just need to create the Task Sequence to deploy it. The procedure is even simpler and we should now be familiarized with the environment to complete it without any problem. 1. Right-click “Task Sequences” and select “New Task Sequence”. 2. Complete the Task Sequence data. 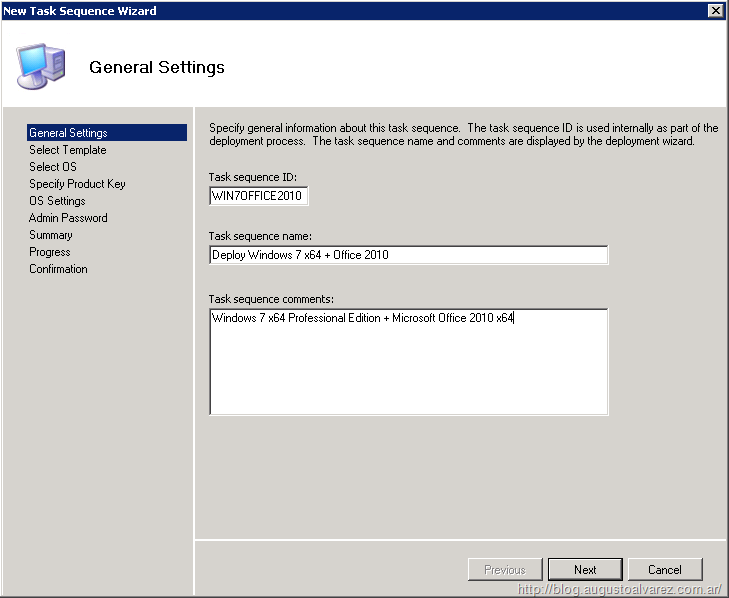 Remember to use a different “Task sequence ID” than the selected earlier, in my case “WIN7OFFICE2010”. 3. Select “Standard Client Task Sequence” and click on “Next”. 4. Select the operating system we’ve imported “Windows 7 Pro x64 + Office 2010” (I’ve changed the name for a more friendly one). Click on “Next”. 5. 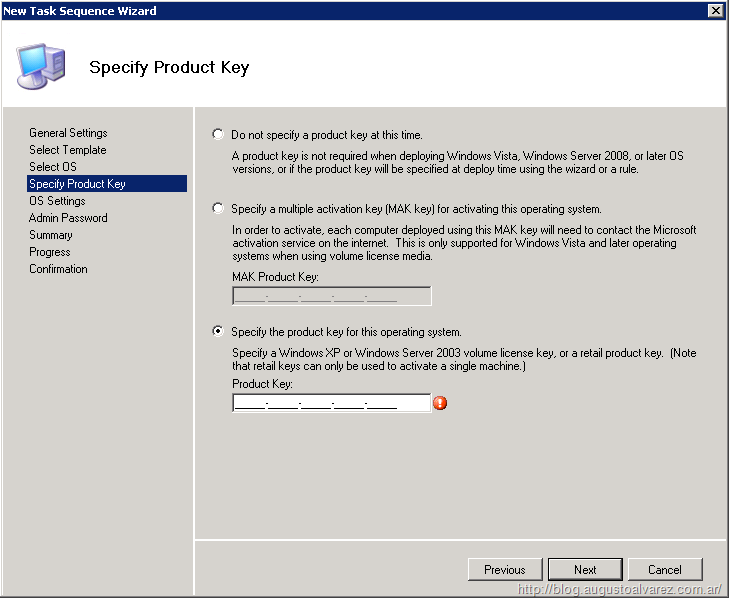 You can specify the product key in this step. Click on “Next”. 6. Complete the “OS Settings” and click on “Next”. 7. Specify the Administrator password or you can skip it. The administrator password set (if we did it) in the image we’ve captured maintains even if we executed sysprep. Click on “Next”. 8. Review the “Summary” and again the process should take a few seconds, once its completed click on “Finish”. We have completed all the configuration steps, and the only thing missing is deploying this image to the client. 1. 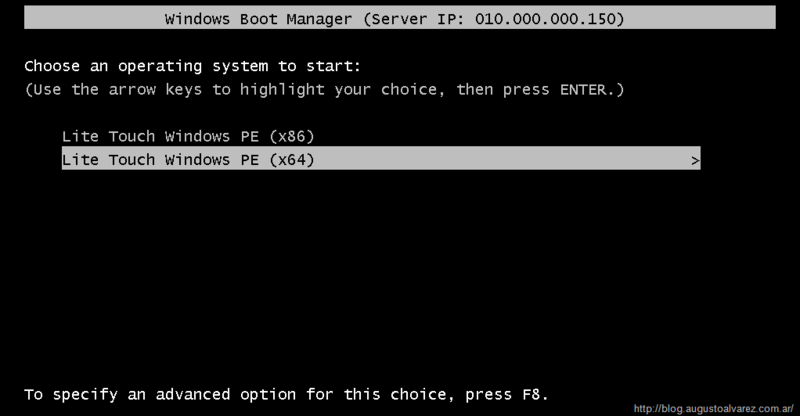 In a client machine, boot from the network and select the LiteTouchPE boot image we’ve added earlier. 2. 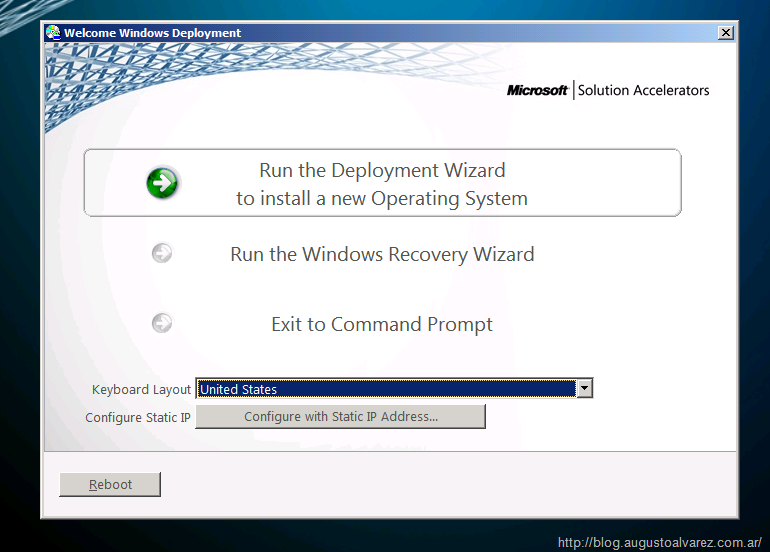 Run the “Deployment Wizard” in the same way we’ve executed before. 3. Specify credentials. Click on “Next”. 4. 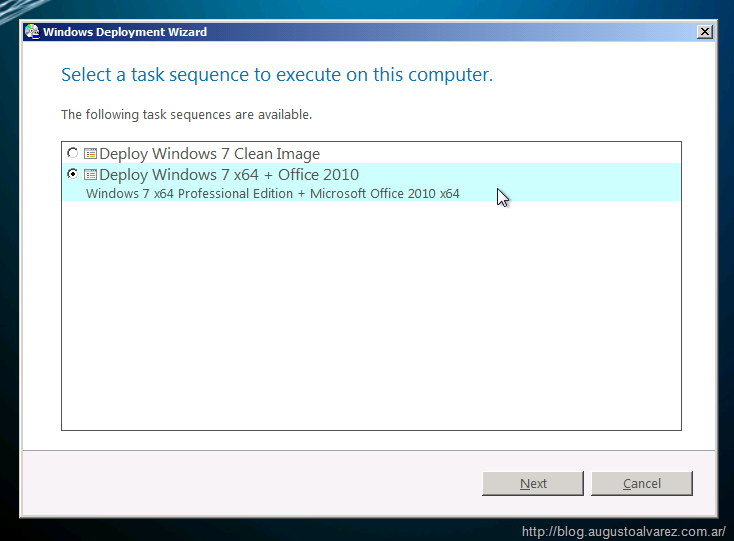 Select the task sequence to deploy the reference image, in my case “Deploy Windows 7 x64 + Office 2010”. Click on “Next”. 5. Join the machine to the domain if you prefer to. Click on “Next”. 6. Since we are not migrating profiles, select “Do not restore user data and settings”. Click on “Next”. 7. Select Language and Time Zone. Click on “Next”. 8. 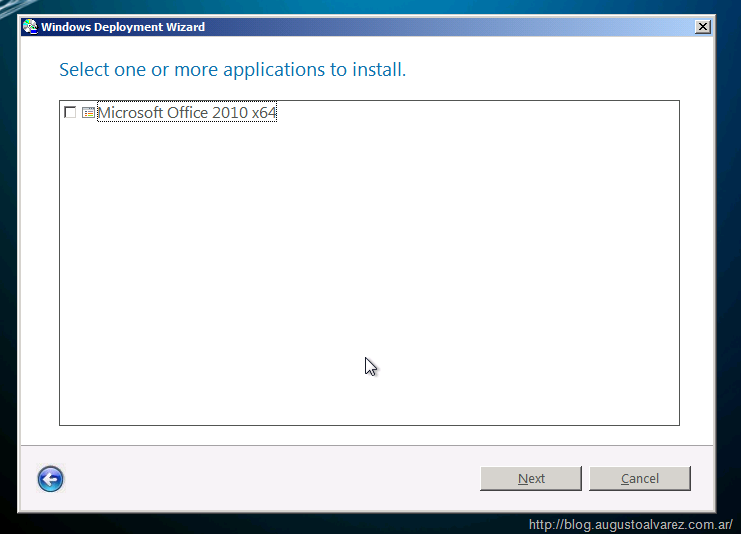 Since the image already has Microsoft Office 2010 installed, there’s no need to install it again. Click on “Next”. 9. Click on “Begin” and the installation process will start. The operating system will complete its installation in a few minutes. With that we’ve completed the third part of this series, I’m hoping I’ll prepare a few more about automating even more the deployments and add a few more features in the scenario. Excellent! Thank you so much for this and the WDS series, great stuff. 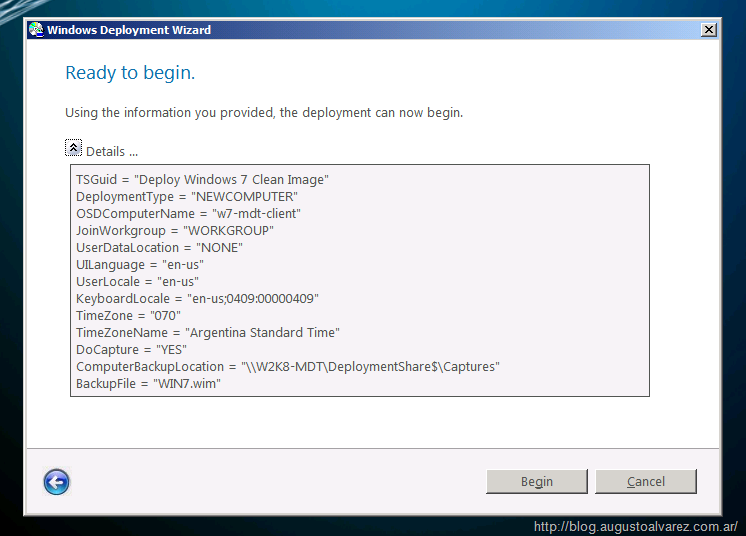 Thanks for the article Deploying Windows 7 + Office 2010 Using Microsoft Deployment Toolkit (MDT) 2010 – Part I-III. I have successfully completed two parts as per your instruction without getting any issue, now I am stuck at part III step 4. I am using IBM Lenovo thinkCenter as a client machine, and it did not give me any option to boot it from the network. 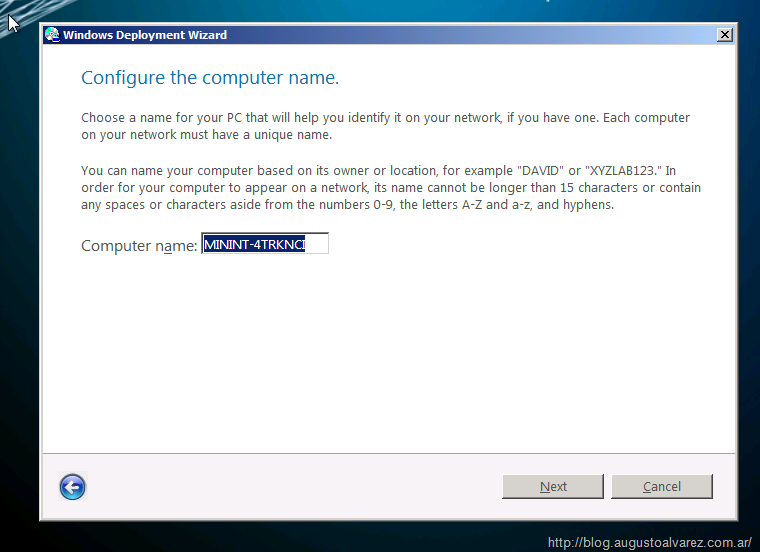 I would like to ask you how to boot the client machine using PXE as when I hit F12 it did not give me the option. Even I have verified that PXE is enabled in the bios. I will be highly appreciate if you will let me know so I will complete the steps and will verify my deployment on test environment. IBM Lenovo notebooks usually have a another key to select a different boot option. Take a closer look to the screen soon as you turn on the machine, it usually says something like “Press … for boot options” (maybe F2 or the ThinkVantage key). Thanks for your reply.I have verified it but it wont give me that option in the bois. Can you please let me know is there any way that I can burn the image and then instead of booting the client machine from PXE server. Till your article part II everything works fine, is there a way that I can burn the operatiing system directly from MDT and then boot the client machine with DVD. If you create media (Advanced Configuration->Media), you will be able to create an ISO that can be burned to DVD. You can optionally use the files inside the ISO to create a bootable USB stick as well (my preferred method). That was directed at Altaf; not Augusto. Whoops. 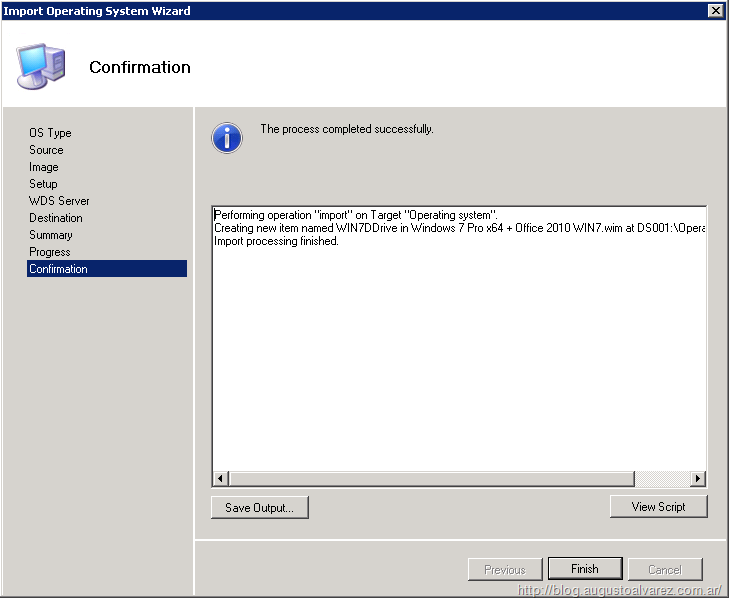 I have successfully created and capture the image with office 2010 which is in wim form. 3. Click ” Repair your computer. Thanks I will check it out and will let you know. any idea, how to resolve this issue, Am I doing something wrong? Please suggest. Thanks for the guide, it’s been a real help. 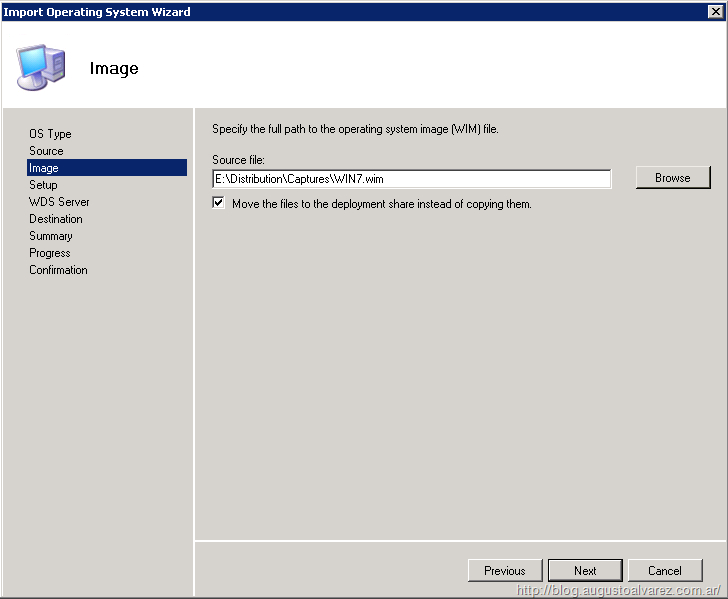 One thing i’m having an issue with is after following your instructions i don’t get any prompts to capture the image during the Windows Deployment Wizard. After choosing a timezone it goes straight to the ‘ready to begin’ window. I made sure i’m not joining a domain. I had the same problem. I think we both forgot to tick “Ask if an image should be captured” when creating the deployment share. – Right click the deployment share I created, and select properties. – Click the “Rules” tab. – Change the line “SkipCapture=YES” to “SkipCapture=NO”. If the line is missing then maybe you can just add a new line at the bottom with “SkipCapture=NO” (without quotes). – Restart the computer that Windows is being install on and try again. I hope this helps you or someone else. 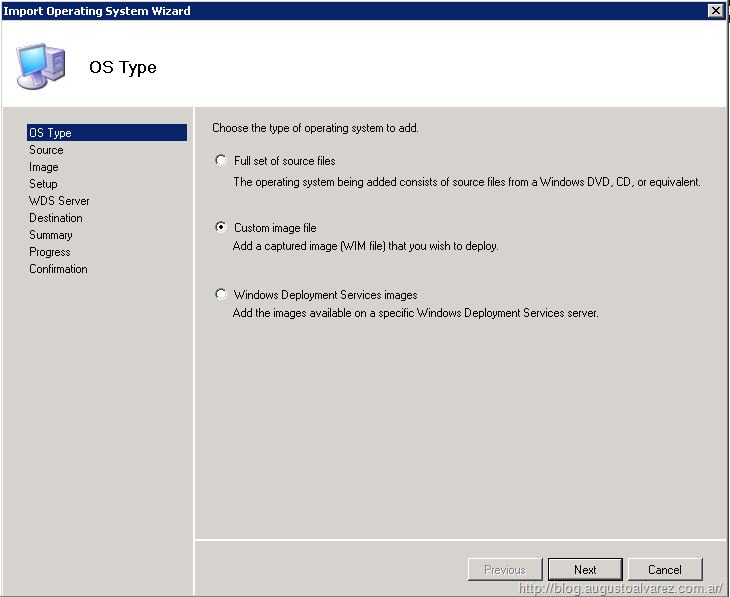 Take note that the capture image wizard is different from the deployment wizard, so if you are not receiving any capture option as shown here then the boot image was not converted to “Capture Boot Image”. Very nice tutorial! However I am curious – what is the benefit of capturing the custom image and redeploying it again? It seems that initial setup up MDT with a clean image + Office 2010 works great. Why not just deploy this to all users instead of sysprepping it and making another custom image? I am curious about this too. Great guide by the way. No problems at all! I am puzzled by this aswell, most of the turorials make note of capturing an image after deployment for deploying in the network. It seems to me I want to be dynamic as possible with deployments. If for example (upgraded) applications or drivers have to be rolled out (or deleted) I would have to re-capturing all the custom deployments, this seems so sumbersome? Is there any advantage to the approach of using capture images I am missing?? Well, that depends on each scenario. If you have images that do not change significantly in time, most likely WDS will be the answer for that. 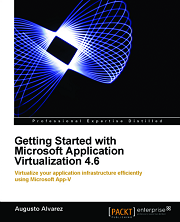 But if you have images that require every now and then with some tweaks and/or changes, you might think in Microsoft Deployment Toolkit (which is free as well) which it provides the agility you might want (adding applications, updates, packages and even drivers in the deployment processes. Im stuck at the user credential authentication on the bootable CD. It dosn’t authenticate even with valide credential. Anyways to know why. Could be related to missing network drivers, I have other posts regarding injecting drivers into WindowsPE images. Or you can add those in MDT prior to generate the media. If you have windows XP installed on the computers on your environment how do you go about upgrading them to windows 7 over a network. Do you have to wipe each machine indivdually can you automate this process? If you check my other posts in WDS, you’ll find some unattended files that might help you in this process to automate the whole scenario. That kind of error is usually related with an “Access Denied”, review the permissions used for the distribution share folder. Good instructions thankyou. I now want to go one step further and create a bootable USB with images. The USB does boot into Windows Deployment but it brings up a message “Before this ward can continue it will need to know the path of the Deployment Share” – in the path box is X:\Deploy – I can’t seem to get past that. Can you provide me with any information on how to overcome this. Thanks. Very nice Tutorial! I’m having an issue running a Refresh Task Sequence on Encrypted hard drives. USMT 4.0 is a great tool but when using it in Offline mode it can’t see my data on the hard drive. Guess that’s kind of the point of encryption. So I changed my method back to the older method, mapped out to the server and launched the LiteTouch VB script, and all goes well until it goes to lay down the OS and I get the Configure the Target Partition screen, with a highlighted message saying that a Refresh deployment has to be the same partition as the current OS.